So here is a shotgun blast of random hobby! 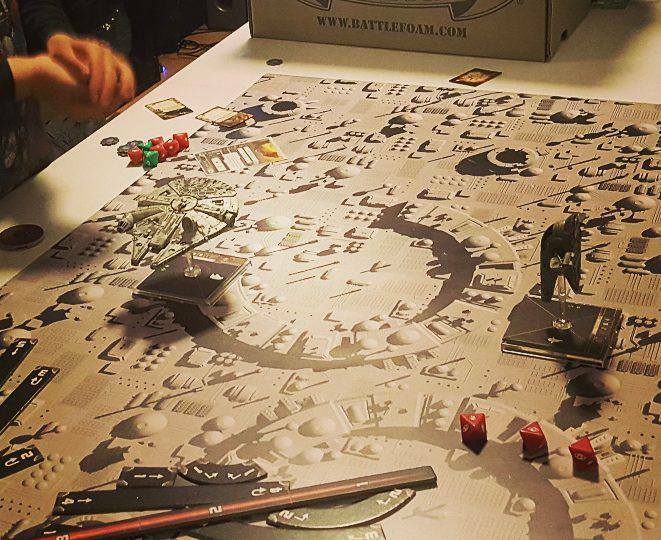 As you may have noticed from the other pictures, the gaming boards continue to take shape! They are almost all done now. I went over all the cement again for the first time since we first did it…2 years ago or however long it was. 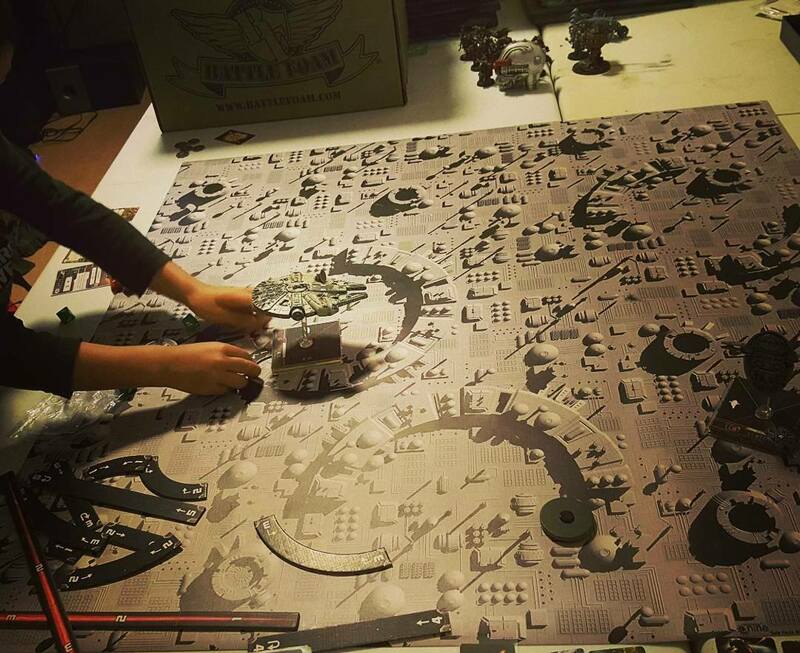 We first used the Astrogranite technical paint from GW, but they only came in those tiny pots. As we had to use it sparingly many of the sidewalks had tons of streak marks from the brush as we tried to spread it to every board. No longer however! I hit every single one with another coat of the same stuff (thankfully they still make it!) and it looks a lot better. I cleaned up all the black on the roads…cleaned up the metal bits….at this point now its just down to weathering again and I think I’ll add some scattered propaganda posters…..
On the topic of gaming, I have been getting my son (or he has been getting me back into?) playing some X-Wing. He loves the game and it is fun to play together. 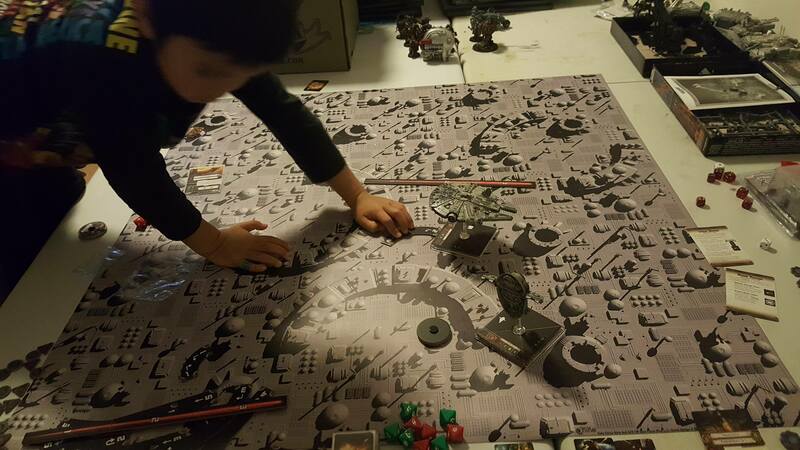 He is only 5 so we keep it simple and just pick ships he likes and then I do a rough point balance. We don’t use many upgrade cards other than some missiles to make it simpler as well. 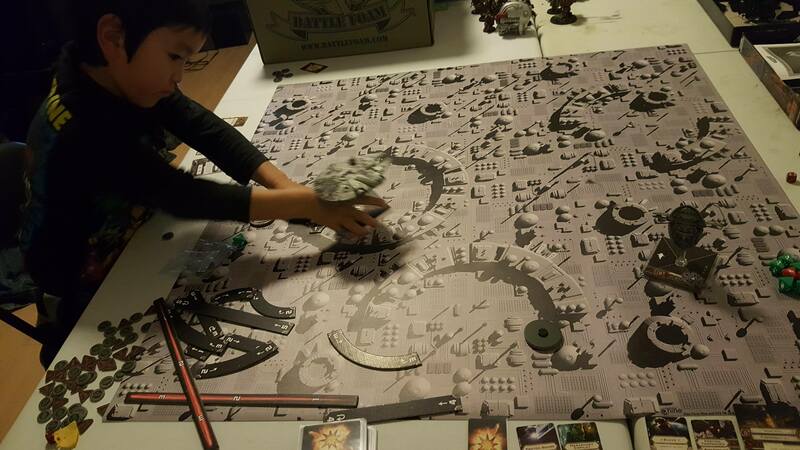 He beat me twice with the Falcon against Slave 1, then I barely won another game with Luke and 2 A-Wings vs his Imperial tie fighters line up. It rather amazes me how quickly he has managed to pick up the game. I built a third Bloat Drone (the new plastic kit) for my Death Guard. I forgot to take an after pic however… I magnetized the main weapon (very easy to do on this kit) so it can swap between the lawnmower and the spitters with ease. Really easy and quick kit to put together! They others were fun to paint so I look forward to working on this one. Ok looking back that feels like a lot now, but it was rather spread out! 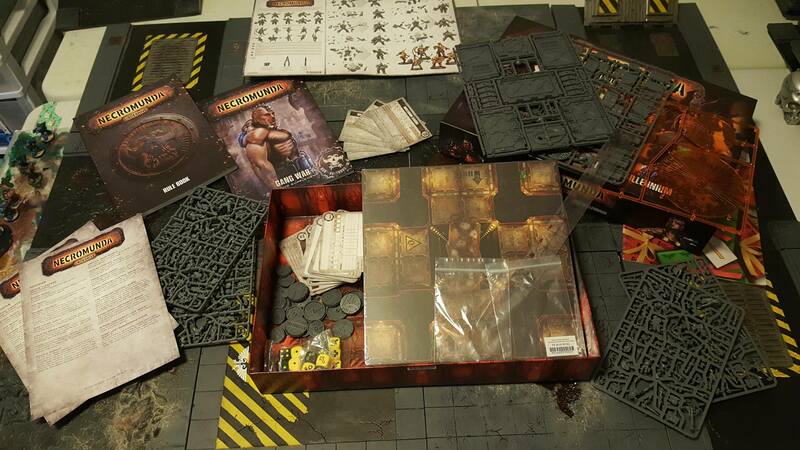 I hope to finish off those tiles ASAP so I can get some more models done :). 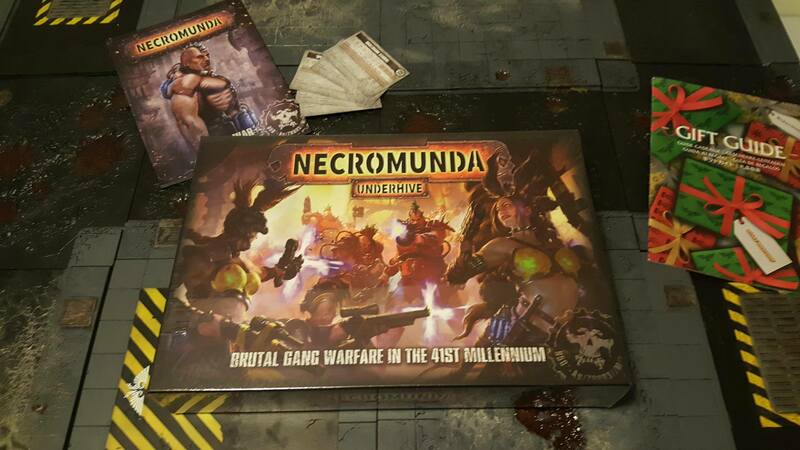 Necromunda looks awesome, hope they bring in some new adeptus arbites, then I’ll probably play.